LED light therapy has been proven to induce healthy skin cells to replicate faster, stimulate collagen production, and kill bacteria that can cause acne. 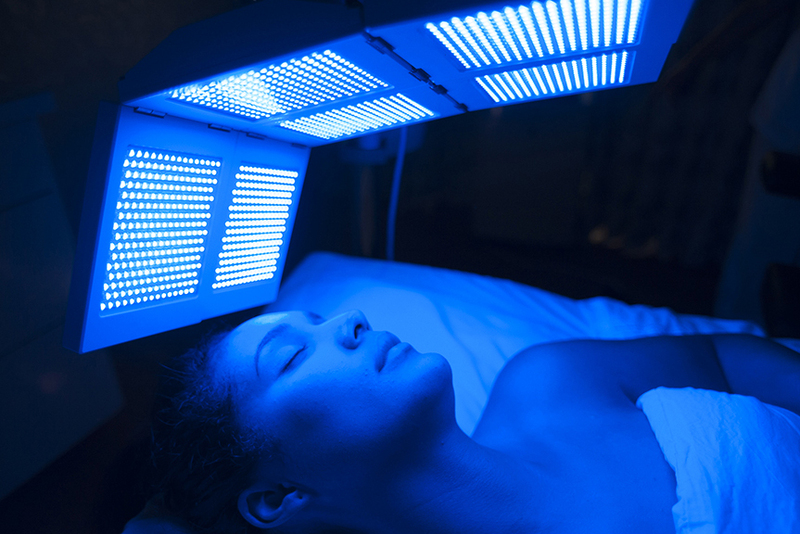 We use LEDs for anti-aging therapy, correcting pigmentation, healing acne and reversing the effects of sun damage. This express treatment includes a cleanse, light peel, 20 minutes of LED light therapy, moisturizer and sunscreen. Half price for Club LED members.